Combined these two cars make 1,145 horsepower. This is Mike Tyson meets Muhammad Ali. Until Mercedes-AMG debuts the upcoming hybrid CLS53 and then follows that up with a more powerful hybrid version of the AMG E63 S (if that ever happens), it’s a bit tough to make a fair comparison video between the hottest and newest Mercedes-AMG sedan and the upper echelons of Porsche's equivalent car, the Panamera Turbo. For now, we’ll have to make do with this, a comparison between the ultra-powerful AMG E63 S and Panamera Turbo. Combined, the two cars make a whopping 1,145 brake horsepower, enough to stop the Earth’s rotation if deemed necessary. But how do the two stack up on the track against one another? 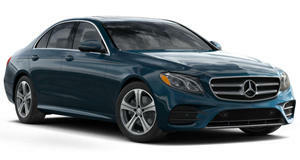 Given that the current CLS is built on the bones of the E-Class, using an AMG E63 S is fair. However, compared to the 600 horsepower AMG E63 S, the Porsche is down a slight bit, with “only" 542 horsepower making it to all four wheels. 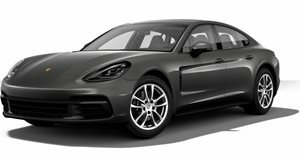 A more fair comparison would included the 570 horse Panamera Turbo S. Torque is also down compared to the Mercedes, which makes 627 lb-ft of torque to the Panamera’s 516 lb-ft. In the end, the results are what you’d expect them to be, but that shouldn’t detract from the Porsche’s merit. Given how well it handles, the Panamera Turbo S may have creamed the Mercedes and if that doesn’t do the trick, the 680 horsepower Panamera Turbo S E-Hybrid certainly would. We'll reserve judgement until the Porsche equivalent can make it to the track.